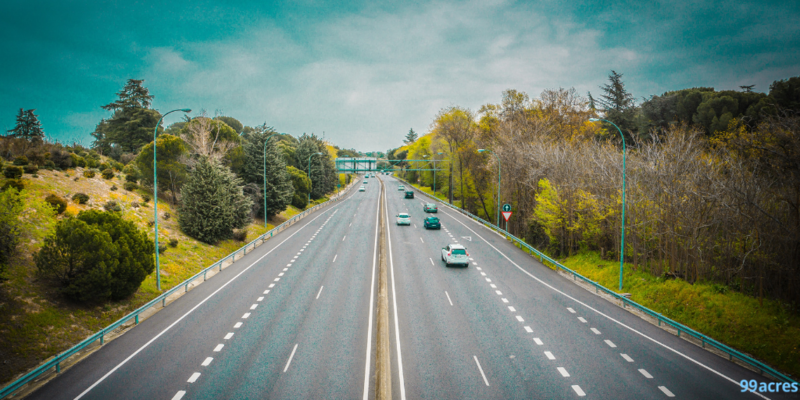 One of the most prominent highway projects in India, the Bangalore-Chennai expressway will not only cut down travel time between the two cities but will also give a fillip to real estate activities in peripheral areas along the corridor. The 262 km-long Chennai Bangalore Expressway is a proposed access-controlled road that will link the cities of Bangalore and Chennai. One of the major connectivity projects being executed by the National Highways Authority of India (NHAI), the expressway will offer easy access to commuters between Sriperumbudur in Chennai and Hoskote in Bangalore. It will be the first Greenfield expressway in South India that will intersect Kolar in Karnataka, Palamaner in Andhra Pradesh and Sriperumbudur in Tamil Nadu, before reaching Chennai. 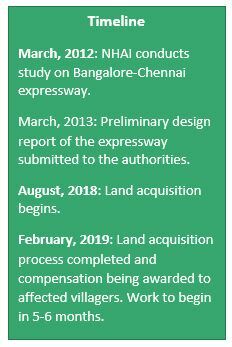 In spite of being one of the most high-priority expressways in India, the Bangalore-Chennai Expressway has been delayed since long, which in turn, has marred the investment prospects along the corridor. Japan, for instance, was keen on extending financial aid to the proposed expressway due to the presence of several big Japanese companies such as Toyota along the corridor. In February 2011, a proposal to execute the Bangalore-Chennai super express corridor was even submitted by the Japan Chamber of Commerce and Industry in India. Further, a study was also conducted by the NHAI to complete the project till the end of March 2012. However, delay in getting approvals from the concerned authorities, acquiring land and finishing all the pre-construction activities acted as a major obstruction in the progress of the project. The Bangalore-Chennai Greenfield expressway requires nearly 2,600 hectares of land in three States – 800 hectares in Karnataka and 900 hectares each, in Andhra Pradesh and Tamil Nadu. As of date, it has been reported that the government has procured the required land and work on the project would commence soon. However, a number of villages are still waiting for compensation, which is further delaying the progress of the project. Construction work is unlikely to begin unless the government awards compensation to villagers living along the corridor. An official of the authority responsible for land acquisition in Bangalore has shared that the government has compensated around 50 percent of the people living along the corridor. Certain cases are still pending in the civil court which may take 5-7 months to clear. Once these cases are disposed of, construction work on the expressway will begin. The upcoming Bangalore-Chennai expressway will not only reduce travel time between the two cities by two to three hours but is also anticipated to trigger real estate growth in key micro-markets falling along the corridor. Areas such as Walajapet (Banavaram and Keezhveeranam) and Panniyur, which have already been termed as the next industrial hubs will benefit the most from the expressway. Banavaram, which houses the TVS brake-manufacturing unit has already started attracting various renowned automobile companies such as Mahindra, Bajaj, and Nissan, which are planning to set-up new plants in the region. Several real estate developers have already started investing in Walajapet and Panniyur due to the bright prospects of these regions. Investors have also expressed interest in these micro-markets and are keen to invest during the initial stages in expectation of high returns on investment in future. Puravankara adds that besides giving a fillip to these micro-markets, the expressway will generate employment opportunities and give rise to new business hubs in future.